At their southernmost, the Alps form the border between France and Italy. The peaks spill into the Mediterranean, and the sea lends its name to the range: the Maritime Alps. 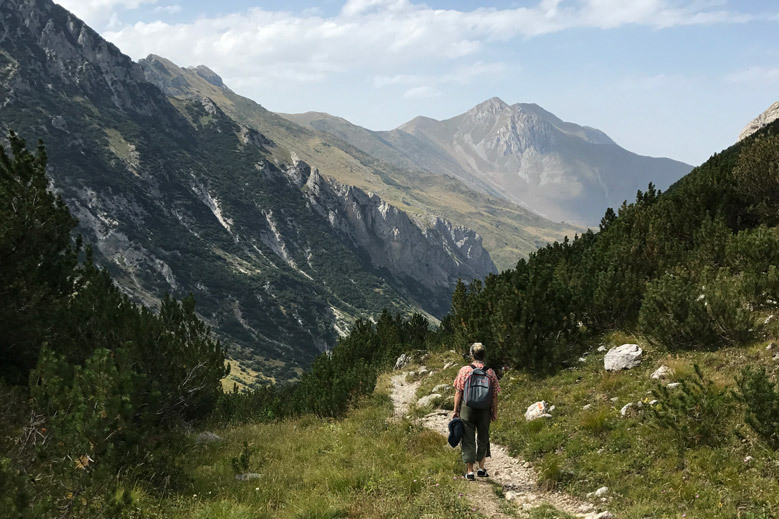 It’s about three hours via train from the French coast to the trails in Italy’s Piedmont region that form a hiking excursion between rifugios. 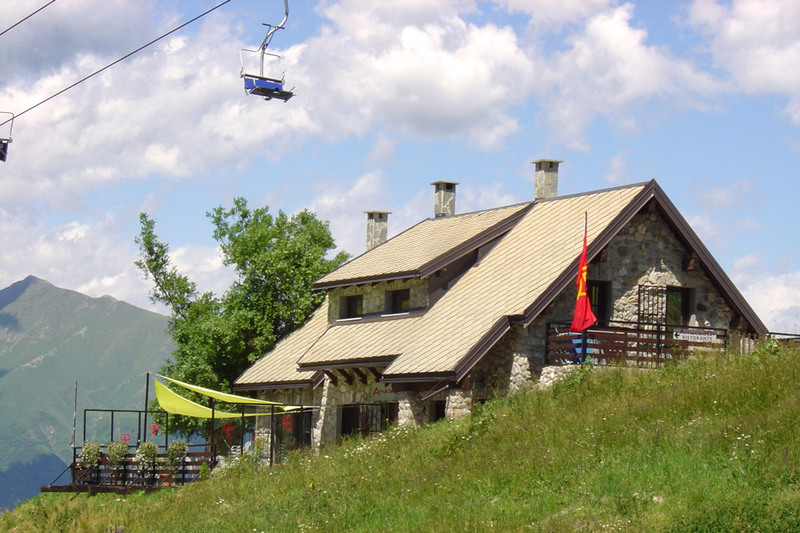 These chalets offer comfortable lodging, regional cuisine and local wines. The Grande Traversata delle Alpi, a 620-mile trail, crosses the entire Maritime Alps and then some. It takes 55 days to hike in its entirety. 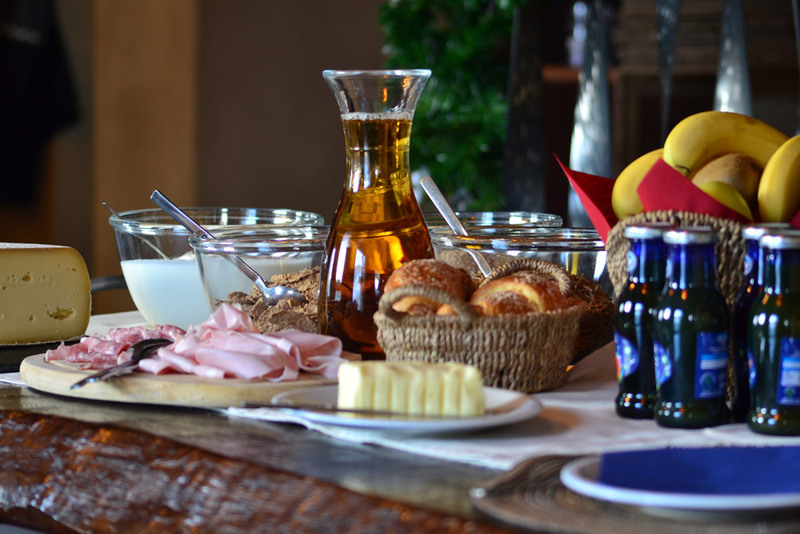 But there’s a portion within the Province of Cuneo that’s perfect for a long weekend. 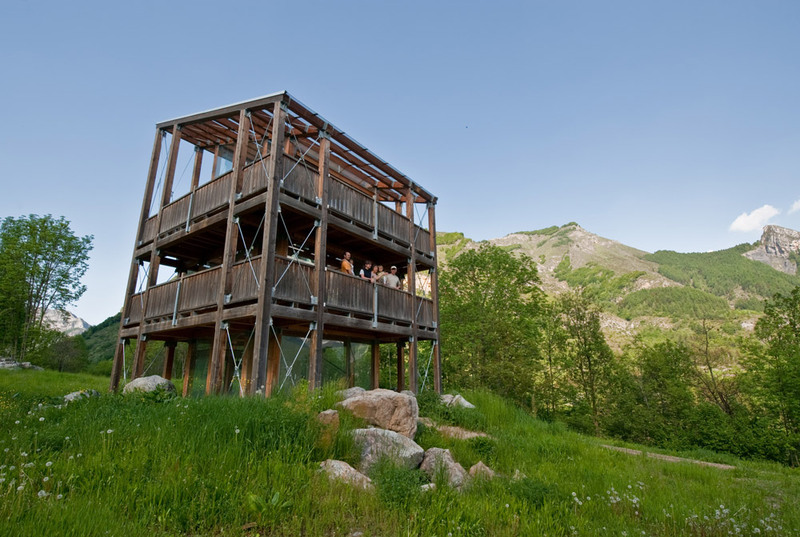 A four-day trek takes hikers from the village of Limonetto into the regional Parco Naturale Alpi Marittime and the villages of Palanfré and Trinità, with optional walks to the 19th-century border forts or to commune with the animals at the Man and Wolf Center. Train stations close to either end of the route make getting there and back easy. Best of all, the rifugios transport luggage. Hikers just need to carry daypacks. An unencumbered ramble through high meadows with a fabulous meal at the end? When Italians told me about it, I thought, Now, this is my kind of trek. What I discovered is that Alpine hiking isn’t for the faint of heart. Along with two companions, I scaled 7,500-foot summits, scrambled down cliffsides and traversed a dozen miles of varied terrain a day. It took us double the time noted on the yellow trail signs, which seem written for expert mountaineers. But we also walked through fields of wildflowers, plunged into crystalline waters and met up with herds of white, wattled Piedmontese cattle, their bells clanging musically. Along the way, we were greeted by trekkers from throughout Europe. 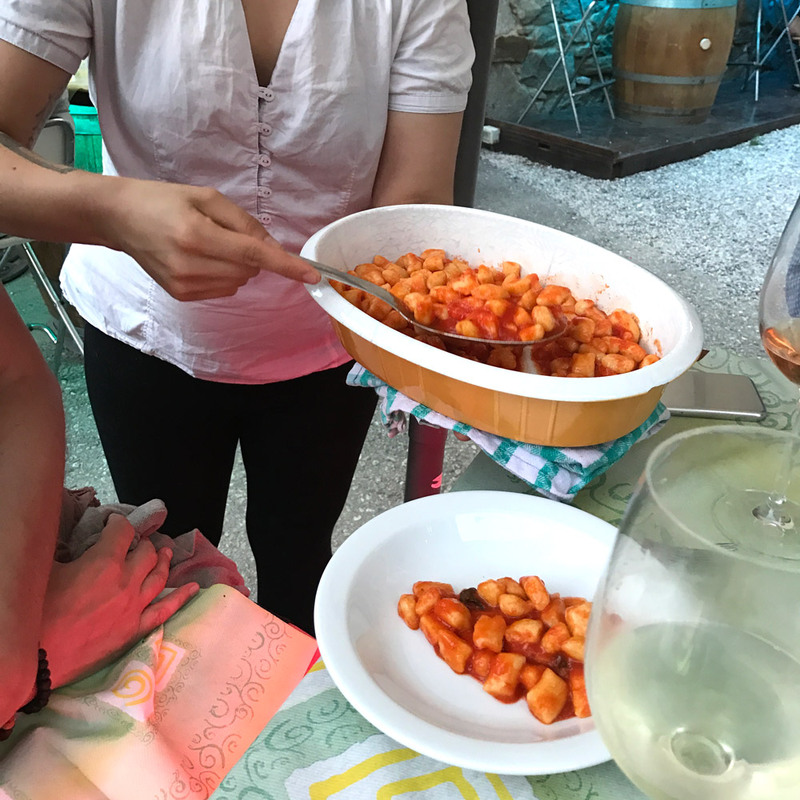 And after limping into each rifugio, we toasted our efforts with glasses of Barbera and dug into bowls of gnocchi, fuel for our next day’s hike. Would I do it again? Sure I would, with a clearer understanding of the trails, and an extra day built in to get accustomed to the altitude. The immersion in the Alpine landscape is worth the challenges of the journey — and so is the sense of accomplishment. My friends were coming from Paris, and I was flying from New York, so we met in Nice. We spent the evening on the beach before our train ride north. The juxtaposition of bathing suit and hiking boots in my luggage illustrated the proximity of sea and summit. From Nice, there are two ways to travel by rail to Limone Piemonte in the Italian Alps, where we were to disembark. The Train des Merveilles (Wonder Train) chugs along viaducts in Provence’s Roya Valley to Tende, on the edge of the petroglyph-filled Vallée des Merveilles. Here, Italy-bound hikers switch trains for Limone Piemonte. On the 9:23 a.m. train, guides explain the history and geology of the region in French and English. But I had just arrived along the Mediterranean, and I wasn’t ready to leave the coast behind. 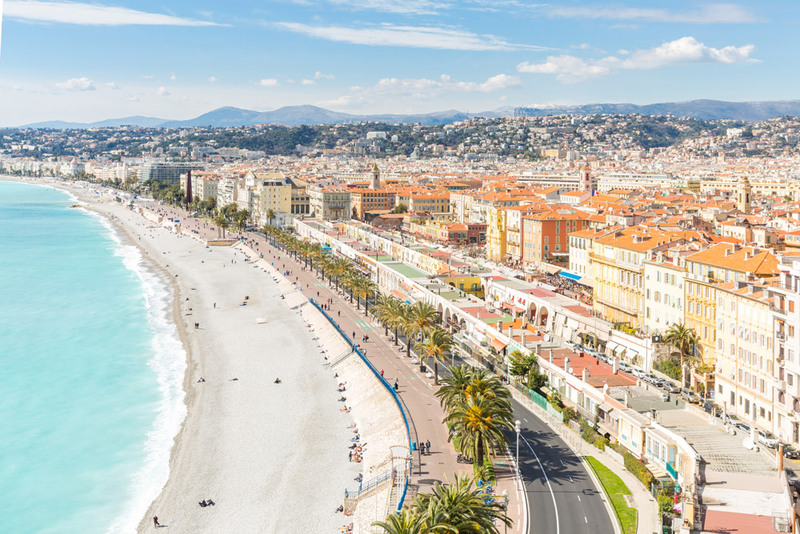 So we opted instead for a train along the Riviera through Monaco to the Italian seaside town of Ventimiglia. Here, we caught the train northward to Limone Piemonte, traversing the Colle di Tenda at the border. This pass is as old as the Phoenicians. It is part of the Via del Sale, the Salt Road, an ancient trade route from the sea. A charming ski town on the Vermenagna River, Limone Piemonte has a walkers-only, cobblestoned center lined with shops and restaurants. A four-sided fountain dates to 1510. A sundial graces the wall of the parish home on the main square. Ristorante Il San Pietro near the train station, we discovered, serves an excellent zabaglione, the eggs, sugar, Prosecco and Marsala wine whisked together tableside in a copper pot set over flame. From the train station there, we caught a local jitney, which ferried us along with colorful locals to Limonetto. “Mamma mia! Arrivederci! I love you! New York, New York!” said a fellow passenger, her arms heavy with grocery bags. At the café in this tiny haven of stone houses, gardens and narrow walkways, we met up with Walter Revello, who unburdened us of our bags. Along with his wife, Anja Merolt, Revello operates Arrucador Boutique Lodge ($65 weeknights, $76 weekends). It is located 1.5 miles up a trail that winds from the village through beech and conifer forest and into grasslands where wild strawberries and roses, Queen Anne’s lace and thistles grow. It was August, and we found a patch of ripe raspberries to gorge on. Bees and iridescent blue wasps feasted on blossoms, along with a riot of butterflies and moths (there are more than 1,000 species in the Maritime Alps). The air shimmered with the songs of millions of grasshoppers. Arrucador sits at 4,500 feet in a rolling meadow where marmots, the Alps’ enormous ground squirrels, pop from burrows to whistle loudly at passersby. The lodge consists of four warmly painted rooms featuring high, wood-beam ceilings, feather beds and modern, en suite bathrooms. We plopped on the couches on the patio with cocktails and enjoyed the sunset. If there had been time, I would have hung out in the steam room. This was the most luxurious chalet on the trip. As at the other lodges, there is no menu. Dinner ($35 additional) is whatever Revello and Merolt, both talented cooks, are making. A fennel and orange salad came dressed in cumin, chile, fruity olive oil and aged balsamic. A rich chicken stock undergirded fresh zucchini soup. Pork loin was glazed with marsala sauce. The last sips of a 2014 Pietro Rinaldi Bricco Cichetta Barbera D’Alba — oak, violets and spice — washed down local cheeses. 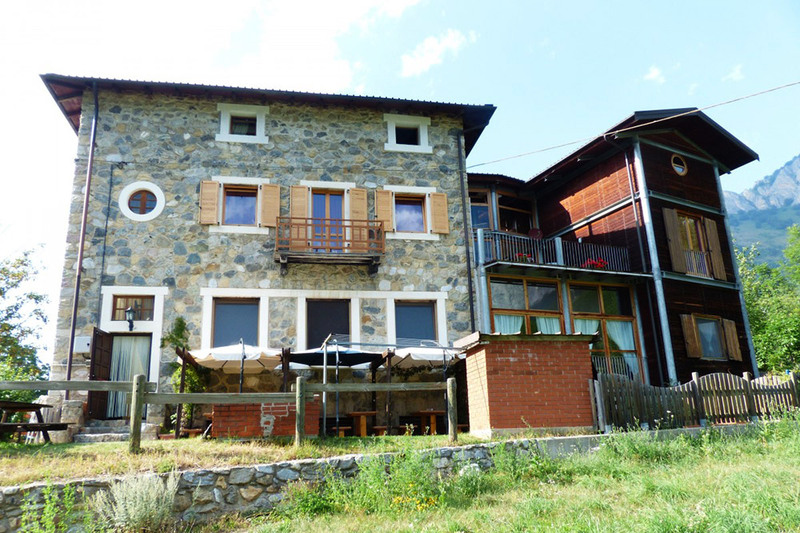 Arrucador is just an hour and half’s walk from Colle di Tenda. 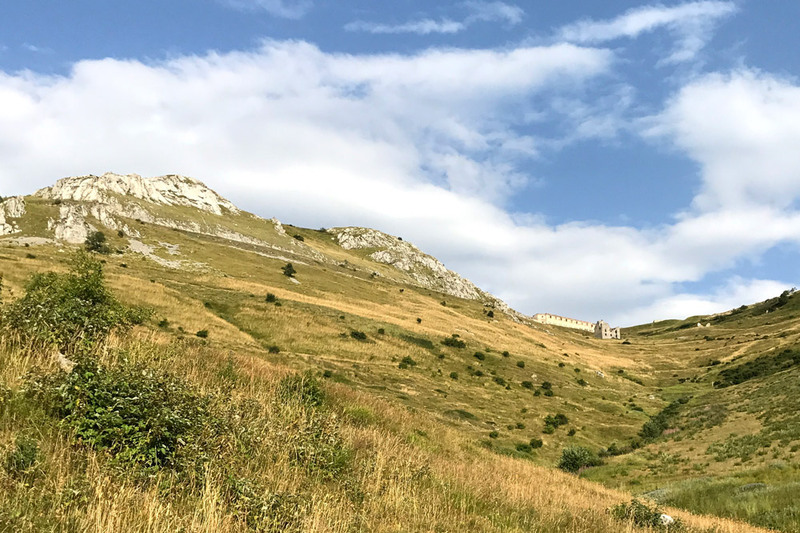 If we had stayed an extra day here, we could have hiked to the ruins of six historic forts, starting with Forte Pernante, visible from the chalet. The imposing stone structures were built along the French border in the late 19th century to protect the new Kingdom of Italy from its then-enemy. Today, grass grows where artillery was once stored. The following day, Revello sent our luggage on its way ($117 total for the entire trip). We lingered over breakfast and had the lodge pack sandwiches for us. It was a long walk northwestward to Palanfré on the eastern edge of the Parco Naturale Alpi Marittime. We needed the fortification. We set out along a road into a small valley, the majestic Rocca dell’Abisso, “Rock of the Abyss,” rising before us. After a bridge not far from Arrucador, the trail split. Following the trail map I had downloaded onto my phone, we took the left leg of the fork — the right headed back to Limonetto — and after a short climb, passed a shepherd’s cottage, where we filled our canteens in the running water of a trough. Our route was well-indicated the whole way along with the Grande Traversata delle Alpi’s red-and-white square marker. The going got increasingly tough. Lizards scrambled across the path. Having come from sea level the day before, I found myself huffing and puffing. Above the cottage, low bushes heavy with wild blueberries gave us an excuse for a break. Revello had warned me that temperatures in the Alps were a good 5 degrees Celsius higher than normal this season. Boulders provided the only shade on the dry, grassy slopes leading up to Passo di Ciotto Mien, the 7,460-foot summit of the hike. It took us four hours, but we finally made it there. Our glee at summiting was short-lived, though, when we spied the long scramble on the other side. I thanked goodness for my new hiking boots. Clinging to cables bolted to the rock face, we made our descent. Our sweet reward? A dip in Lago degli Alberghi. This icy-cold glacial pool was as clear and blue as the sky. To the south of the lake, we spied the pyramidal Monte Frisson, aka “Little Matterhorn,” but that peak was for hardier hikers. We headed northward, instead, descending through a dwarf pine forest at the foot of Monte Colombo, where the trees were no taller than I am. The woods opened up into rocky pasture where we ran into the source of a clatter we had been hearing: a herdsman and his dogs were coaxing cattle up a slope. Toward the end of the hike, a series of switchbacks lead rapidly downward through a beechwood forest. A shock of chill air blasted from the throat of a low cave. Stands of ferns and other large-leafed, water-loving plants made the landscape feel almost tropical. The trail now skirted the verdant banks of the Vermenagna River. We had descended 1,800 feet from the summit. Just outside Palanfré, we quenched our thirst at what I imagine is the folksiest water trough in the Alps. It was carved from a tree trunk, with a hollowed-out branch for a spigot. Signs for the Parco Naturale Alpi Marittime were propped along the trail. We were now inside the park. Just in time, we hit the end of the trail. We were nearly late for dinner. We followed a paved road, past the cheesemaker Azienda Isola Palanfré, into town, where we immediately came upon Rifugio Escursionistico L’Arbergh. Rooms here sleep four to eight people ($59 for half board), but wanting privacy, we requested one to ourselves. Our accommodations were basic, but staff were young and friendly, and the beer was cold. 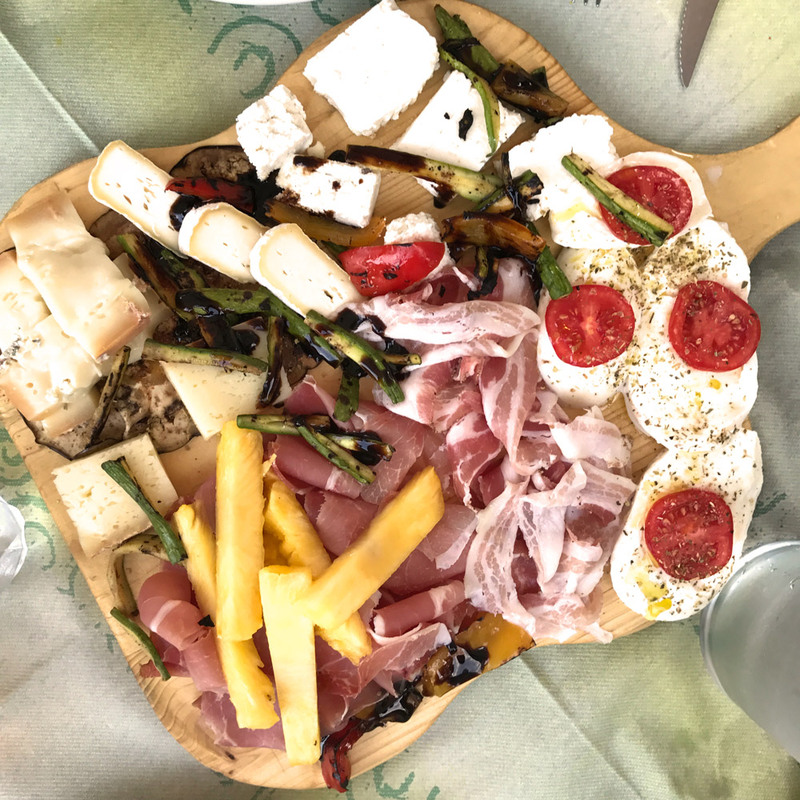 On the terrace, with the mountains spread out before us, we feasted on pancetta and smoky speck, along with cheeses made next door: mozzarella; ricotta with lavender; soft Robiola; saret, a natural gorgonzola. Just-picked basil fragranced pillowy gnocchi. An apple tart was warm and custardy. Our tattooed server suggested a Nebbiolo rosé from Piemonte producer Anna Maria Abbona. It had the deep, peachy flavor to match its orange hue. In the morning, we followed the signs back up the road to “Bosco dei Faggi” and found ourselves on a guided path through an old-growth beechwood forest, with plaques identifying the plants. Eventually, the path crossed the road again, where it took some muddling over our map to figure out that we needed to follow the trail sign labeled “L6.” This path becomes the GTA to Trinità. Having missed the L6, we would have ended up on a loop back to Palanfré. The route passed a farmhouse where cattle grazed before it rose through meadows heady with flowers, raspberries and lush, green plants. The day was a hot one, but a cold, clean trough above the farm gave us a last chance to drink our fill. We wouldn’t encounter freshwater again until we hit the stream on the other side of the mountain near Trinità. 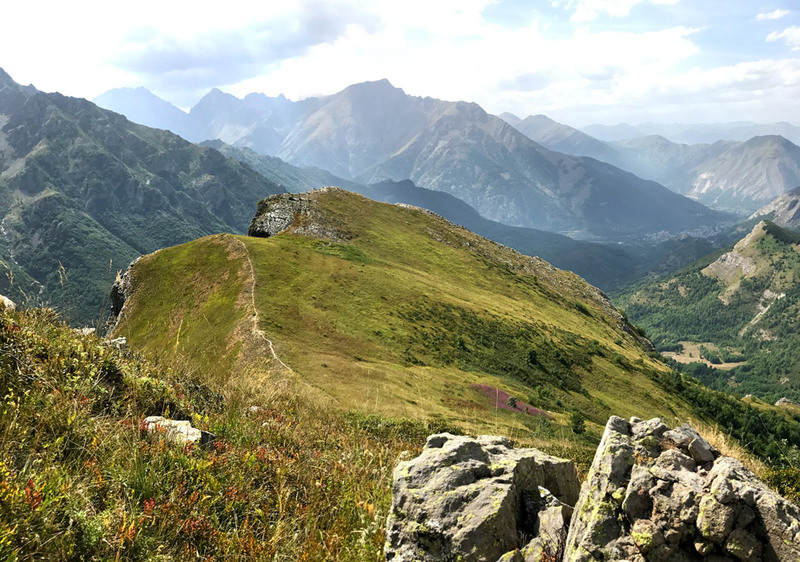 After a four-hour hike, the trail summited at Monte Garbella and then followed the mountaintop, spectacularly, at 7,500 feet through golden grasses hugging a steep slope. Here, one false move would have us tumbling down like Jack and Jill. This was the Costa di Pianard, the ridge that separates Palanfré’s Valle Vermenagna and the Valle Gesso where Trinità is located. The view was fantastic. Patches of snow clung to nearby shadowed peaks. A golden eagle wheeled in the sky. One of my pals caught a glimpse of chamois. This goat-antelope was a favorite quarry of Prince Vittorio Emanuele, of the House of Savoy, who became king of Italy in 1861. The Valle Gesso was his exclusive Alpine hunting grounds. At the end of the ridge, the trail began its steep switchback into the valley. “Not again,” I thought. Sure enough, about an hour from the summit, a series of scrambles took us sliding down outcroppings along a forest stream. But after a particularly difficult, cable-assisted descent, once again there was a payoff: Above a waterfall, the stream widens into a pool, just perfect for a dip. The trail ended in a gravel road through the woods to Trinità where Locanda del Sorriso awaited ($76 for full board). Its tall, stone building was once a school, built by Queen Elena of Savoy in 1939. While not fancy, private rooms here are cool and quiet, and some feature skylights and en suite bathrooms. We took a seat on the back terrace overlooking the Bousset Valley and the village’s church, ordered a rosé and awaited dinner, which was served in the dining room with its imposing stone fireplace. Speck-flavored cabbage soup. Polenta came with sausages and oven-roasted tomatoes. Anchovy enriched the tomato sauce on tagliatelle. The region’s love of preserved fish is a holdover from the coastal trade of the ancient Salt Road. The servers dished everything straight out of kitchen pots, lugged between tables of locals and ravenous hikers. Had we planned one more night in Trinità, we would have gone to see the wolves. 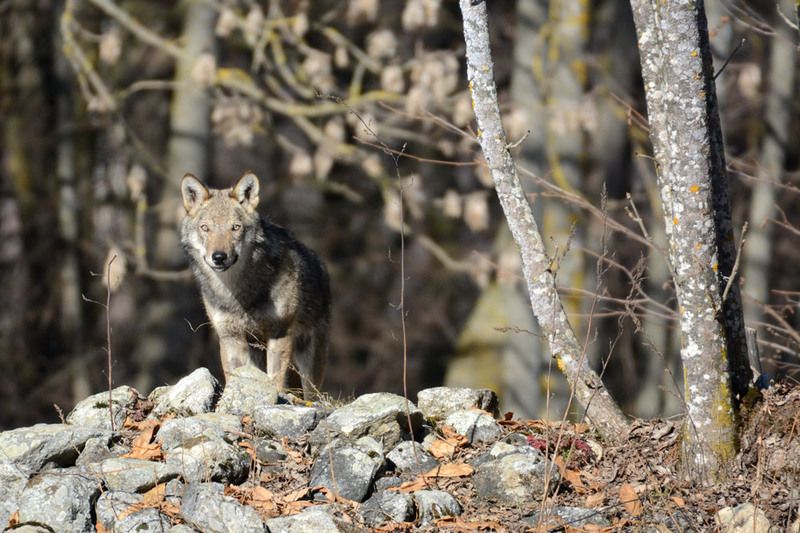 These predators were once hunted to near extinction in the Alps, but with conservation, packs began to return in the 1980s, moving northward from the Apennines. As of 2015, there were 19 packs and six additional breeding pairs in Piedmont. It’s an hour’s walk along a paved road to Entracque, where the Wildlife Center Uomini e Lupi (Man and Wolf) tells about humans’ interaction with the animal. From there, it’s 40 minutes on foot to a tower overlooking an eight-hectare enclosure for wolves unable to live in the wild. Particularly at feeding time, we might have gotten a good look at Canis lupus italicus. Alas, we had booked seats on the morning train back to Nice. Our hosts called us a taxi. It was half an hour’s drive to the town of Borgo San Dalmazzo. Exhausted but exhilarated from our Alpine trek, we caught our train back to the coast. Just a three-hour ride but a world away from the mountains, the Mediterranean beckoned us once more for a swim.